If you need a medical doctor who can offer top-quality healthcare 365 days per year, we’d like introduce you to FastMed Urgent Care. 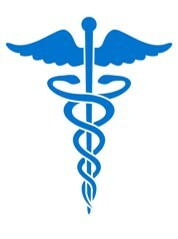 FastMed works to keep healthcare accessible and convenient so that getting to a medical doctor is as easy as possible. We have locations in Arizona and North Carolina: use your zip code to find the office nearest you. FastMed Urgent Care accepts major insurance plans and offers a discount membership plan to help families manage the cost of their healthcare. Common conditions such as strep throat, sinusitis, ear infections or bronchitis. The medical doctor at your FastMed walk-in clinic works with a team of highly-trained professionals to treat common conditions and minor injuries. Urgent care or immediate care should not be confused with emergency care. For symptoms or injuries that could be life-threatening, call 9-1-1 or get to the emergency room. A medical doctor at FastMed takes the role of a primary care doctor, leading the initial diagnosis and treatment. If a referral is required for a specialist or advanced testing, our office staff will handle the appointment for you and send along digital copies of your health records and X-rays. FastMed Urgent Care is your community medical clinic and family doctors. We will make sure your children have their immunizations up-to-date, clear up a sinus infection, determine if an ankle is broken or sprained, and help you manage chronic conditions like asthma, diabetes, or high blood pressure. We also have some facilities that can conduct gynecological exams and care for your reproductive health. Because we have on-site testing labs, we can provide test results quicker and cheaper than using an outside practitioner. We are responsive to flu season and provide affordable flu shots in a medical environment, not in the aisle at a store.